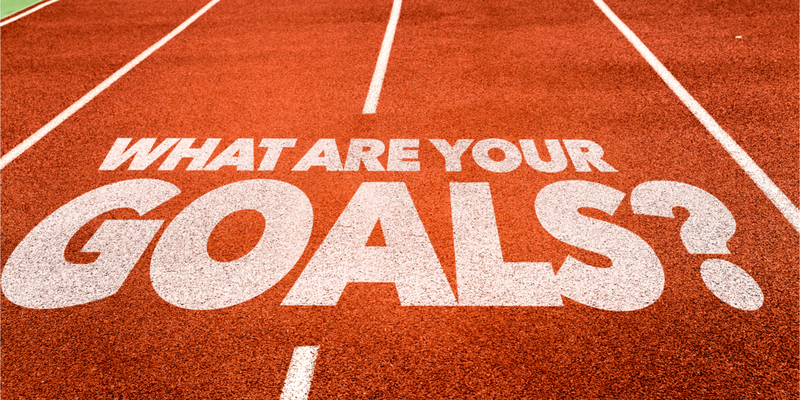 One of the first questions to ask yourself when you are beginning to track your health and fitness is, "what is my goal?" On the surface, all of these seem like perfectly reasonable goals but none of them are the real reason you want to eat well, exercise more, drink more water, go to bed at a reasonable hour, etc. What you really want is what you believe that any of the above will bring you in either physically, emotionally or even financially. More often than not, this is linked to wanting to look better and whether we want to admit it or not, feel more attractive. You may think that if you lost 10 pounds you would look better, have increased self confidence and possibly be more appealing to others to potentially meet new partner, keeping an existing one or make friends. Usually one for the guys, however you do get some females who want this but it's less common. Maybe you want to build more muscle as you believe it makes you more attractive to a new or existing partner. Some also think that by building muscle it makes them look stronger so they are less likely to be singled out or even bullied. A wide ranging category in terms of why people want to improve. More money is quite common here as in most sports the physically superior athletes earn the most. Another is fame, some people just want to be adored by others. Finally, don't discount the competitive spirit in athletes, as the sheer desire to win should not be underestimated amongst the elite. Most popular amongst the older generations or people who have some type of injury or illness. It could be something as simple as being able to run around a field with their children and being active as they grow up or you may have seen someone close to you in poor health due to their lifestyle choices so that's motivated you to change. The list of reasons as to why you do what you do are endless and we’re just scratching the surface on any of the points mentioned in this piece but if you want to be successful, we recommend that if you do want to change and we mean really change for the better in the long term, make your goal feel as real and emotional as possible. What the real reason is only you really know, you may share that with others, you might not. That's your call, but you should definitely be aware of it because when the time comes when motivation drops (it does at some point for all of us), if your goal has a significant meaning to you, it will keep you motivated to achieve everything you want and more.